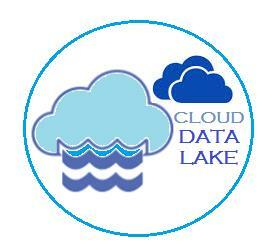 A data lake is conceptual data architecture which is not based on any specific technology. So, the technical implementation can vary technology to technology, which means different types of storage can be utilized, which translates into varying features. The pillars of a data lake also include scalable and durable storage of data, mechanisms to collect and organise that data, and tools to process and analyze the data and share the findings. If we are talking about architectural point of views for a well-developed cloud-based data lake then it must be capable to serve many corporate audiences, including IT applications, infrastructure, and operations teams, data scientists and even line of business groups. If you are planning to develop a successful data lake then you should have to consider the cloud service providers which allow organizations to avoid the cost and hassle of managing an on-premises data center by moving storage, compute, and networking to hosted solutions. Cloud services also offer many other advantages such as ease of provisioning, elasticity, scalability, and reduced administration. Type of storage: Data Lake storage does matter for any organisation because it is directly link with cost and efforts. Security capabilities- We have already stated that Data Lake is not based any specific technology. So, implementation of securities, privacy, and governance must be differed to technology to technology. For example, service such as Azure Data Lake Store implements hierarchical security based on access control lists, whereas Azure Blob Storage implements key-based security. These capabilities are continually evolving in the cloud, so be sure to verify on a frequent basis. Other hand, AWS has a number of ready-to-roll services here, including AWS Identity and Access Management (IAM) for roles, AWS Key Management Service (KMS) to create and control the encryption keys used to encrypt our data. Data management services – Data is the most important component for any organisation which is used in different platforms. The data lake analogy is conceived to help bring a common and visual understanding to the benefits of distributed computing systems able to handle multiple types of data, in their native formats, with a high degree of flexibility and scalability. With the right data captured from a variety of sources, we should be capable to expose that information to data professionals and business decision makers without an oppressive amount of red tape, or bureaucracy from IT. For example, AWS is introducing AWS Glue as an ETL engine to easily understand data sources, prepare the data, and load it reliably to data stores. Azure Data Lake (ADL) integrations, developers who are required to manage information in those services can use Data Lake Explorer within ADL Tools for Visual Studio Code to get a better and quicker grasp of their cloud-based big data environments. Disaster recovery - The most critical data from a disaster recovery standpoint is our raw data. The ability to recover our data after a damaging weather event, system error, or human error is crucial. Azure Data Lake Store provides locally-redundant storage (LRS). Hence, the data in our Azure Data Lake Store account is resilient to transient hardware failures within a region through automated replicas. This ensures durability and high availability, meeting the Azure Data Lake Store SLA. AWS offers all the tools and capabilities we need to transfer data into the cloud and build comprehensive backup & restore solutions that are compatible with your IT environment.